What the bleep do we know… about the wines of Lebanon? The average wine drinker, probably nothing. The connoisseur will have heard about, and possibly tasted, Chateau Musar. But thanks to Lebanese-born wine expert Michael Karam, who gave a presentation on the subject at the Emerging Regions tasting in September 2014, now we know there’s more to Lebanon than the oxidized Musar bottles that turn up at tastings as exotic examples of wines of the 70s. Lebanon today produces around 7 million bottles of wine per year. This is very little indeed – any commercial producer will put out more than this. For example, to take a neighbouring country, Israel’s Carmel winery (and Israel is also a small producer) alone makes 15 million bottles annually. So we could call Lebanon a boutique, or even garage, wine country. The majority of Lebanese wines come from the Bekaa Valley, mainly from its western parts and to some extent the eastern areas. The Bekaa Valley, Karam told us, is part of the historic triangle where wine originated thousands of years ago. The Phoenicians here may have been the first wine merchants. But the modern history of wine in Lebanon starts with the Jesuits, in the 19th century. Some monks were making their own wine from grapes brought from Algeria – mainly Cinsaut and Carignan. Then Domaine des Tourelles was established in 1868 by a Frenchman, and the French influence continued after the First World War, when Lebanon became French territory. Winemaking then got another push, and Chateau Musar was established in 1930, 50 miles north of Beirut, to supply the French with wine. Lebanon gained independence in 1943 but the French wine culture was continued. It was only from the 1990s on that international varieties were beginning to be planted, and more and more new wineries established. Today there are 42 producers in the country, including such new names as Chateau Florentine, Chateau Ka, and Chateau Ksara. According to Karam, it is the Mediterranean red varieties, such as Cinsaut, Carignan, Mourvedre and Grenache, that best express Lebanese terroir and identity. What future for the wines of Lebanon? With such a small number of producers and bottles, the aim clearly won’t be to conquer the international market, but Lebanese wines can be an exotic, interesting addition to the palette. The whites I have tasted were a bit too obviously oaky and the reds sometimes very tannic but the wines have a lot of spice, which I like. Some are now readily available in the UK (Ixsir, Ksara, Tourelles, and of course Musar) at a reasonable (though not inexpensive) price if you fancy serving local wines with your Lebanese-inspired dishes. With the High Holy Days round the corner, some of you may be wondering what to stock up with for your festive meals. Below are some Israeli wines I’ve tasted over the past year and recommend heartily. All are kosher and none are mevushal. With a wine like Sauvignon Blanc, which is appreciated for its freshness and youthful zing, always buy as recent a vintage as possible. With certain exceptions, mainly oak-aged examples (which should be marked as such, unless they’re French), this wine is not meant for ageing. Tabor has really hit the nail on the head with this wine. It’s everything a Sauvignon Blanc should be – at least in Agi’s books: starting with an interesting and very fresh nose with a combination of citrus and tropical fruit and some grassiness. On the palate it’s medium-bodied and acidic, and has that prickly nettle component that I love so much and that’s a hallmark of Sauv Blanc. Some minerality on the finish. Very enjoyable and refreshing – certainly the best Israeli Sauvignon Blanc I have tasted. Tabor winery is in Israel’s Galilee region, at the foot of Mount Tabor. They have also recently started making a lovely Roussanne (I think the first vintage was in 2012). It will be interesting to those of you who are looking for a grape variety that is a bit more unusual and less known to experiment with. A blend of Chardonnay and Sauvignon Blanc, this wine attracts with a buttery, sweet honey nose and peach fruitiness. Lees ageing adds to its complexity, but it hasn’t seen any oak. The palate is restrained, very mineral and shows good acidity. 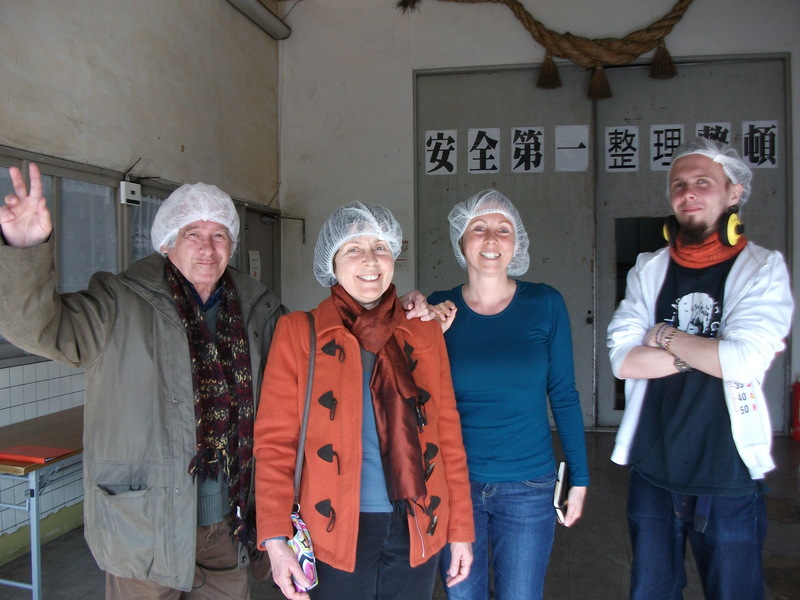 Toastiness from the lees, and a slight prickle – perhaps a tiny bit of CO2 left in there? Peach, apple and citrus fruit. A more complex but still refreshing and crisp white. I think I can say this without sounding too biased: everything Castel’s winemaker Eli Ben-Zaken touches turns to gold. The meticulous attention to detail that all Castel wines reflect is a blessing for us wine-lovers, and an example all Israeli winemakers ought to follow. The rosé is a relative newcomer at Castel, the first commercially produced vintage having been 2011. Over the years it’s been moving closer and closer to perfection. The 2013 vintage is even leaner, more delicate and more restrained than the previous year’s. The strawberry and peach fruitiness is still there but becoming more subdued, which results in a sleek, elegant wine with delightfully refreshing acidity. What makes Tulip winery special is not just their wines but their strong underlying ethical policy: they employ several people with mental disabilities from the local residential community in Kfar Tikvah, near Haifa. But regardless of ethics, Tulip’s Syrah Reserve is a serious and classy wine that I greatly enjoyed. A savoury nose of meaty, mushroomy aromas is followed by a smooth, balanced palate. The savouriness remains, but is complemented by intense spiciness. Long, spicy finish. Very nice, rich wine. The wine’s name carries a double meaning: on the one hand it’s a reference to Yatir Forest in Israel’s Negev area; on the other it’s very appropriate thanks to the wine’s intense forest fruit character. Lots of fresh berries and blackcurrants will you find on nose and palate, together with coffee and pepper spice from oak-ageing. The tannins are still a bit grainy, but my guess is this one will age beautifully. Yummy. May and June saw me mad busy studying for my final WSET exam. To take time off, I popped in to a couple of tastings of South African wines. It was time well spent. We tend to associate South Africa with inexpensive supermarket gluggers but how far that is from the full truth! First of all, there’s a lot of winemaking history here. Did you know about Constantia, for instance? One of the most prestigious dessert wines ever, with a spectacular history going back to the 17th century. Hardly known today but it’s on its way back. More about Constantia later. The two flagship wines of South Africa are Chenin Blanc and Pinotage. As most New World countries, South Africa also mainly produces varietal wines but this is of course a blanket statement and may not at all be true for certain producers or regions. Winemaking tendencies are changing, which means more restrained use of oak and allowing more room for vineyard expression, for example. But let’s look at the specifics. One of the amazing things I learnt about Chenin Blanc is how multi-faceted this grape can be. Anything from light, fruity, easy-drinking refreshment to heavily oaked, aged, complex and rich. The styles are so varied no generalization can be made really. And even the most brilliant cost peanuts compared to Burgundy, although some of them easily compete with a rich and mature Chardonnay. Pinotage is a modern grape. It was created in the 1920s in Stellenbosch by crossing the Pinot Noir and Cinsaut varieties. I guess the idea was to produce a hardy grape that would perform well (meaning high crops) in the warm South African vineyards. As we found out from Greg Sherwood MW, who introduced the wines to us, bush vines are not uncommon among the better producers, and some of them very old as well (meaning the vines, not the producers). Bush training is typically used in hot, dry areas where the grapes need protection from the heat of the sun. It’s a low-vigour training system, i.e. not very economical compared to other, higher-vigour systems, but with a high-yielding grape variety this may actually be good news for quality. But to come back to the grape. Pinotage has a rather unseemly reputation for a pungent paint / solvent smell, but properly vinified examples do not display the unattractive aroma and can be rich, intense, interesting – and ageworthy. The wines listed below come from some of the top producers of Pinotage. A fruity and youthful wine, especially considering its age. 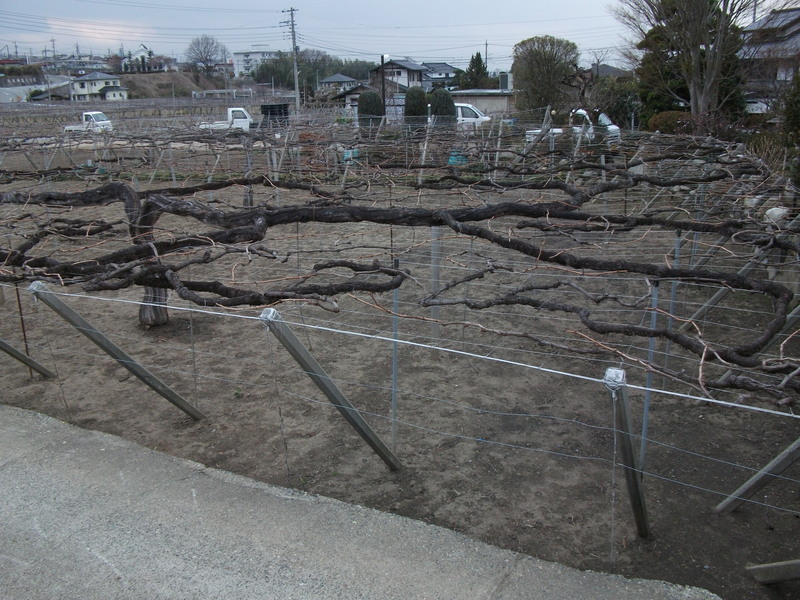 The grapes came from bush-trained, 55-year-old vines. The fruit is a touch too jammy for my taste but some interesting leathery, smokey notes counterbalance the stewiness. A wine of 14.8% ABV but well made enough for the alcohol not to show. Restrained with a smooth, soft palate. Coffee, smoke and red fruit dominate. Likeable. A roughly 50-50 blend of Shiraz and Pinotage. A chewy, tannic wine with a savoury character. Coffee, mint, toast, and black cherrries. Loved this one. 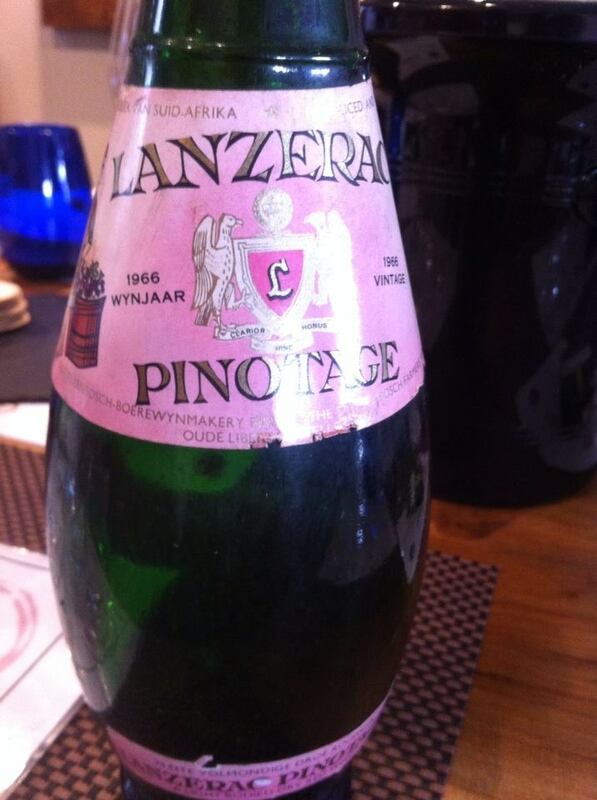 Aaaaand the bonus: a 1966 Lanzerac Pinotage! Light garnet, with quite a bit of sediment – understandably. It’s been sitting in that bottle for 48 years! Oxidized, medicinal nose, smokey. 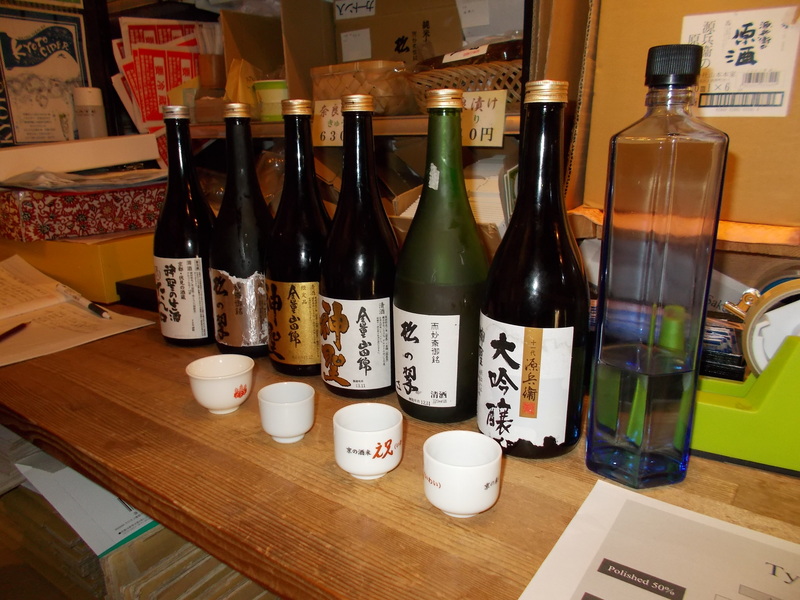 Lean body and acidity that is still great. Not much fruit to find here, but you get a strong herbal character and savoury mushroom notes instead. It surprises with an incredibly powerful, smoky (smoked ham, to be precise) finish. Oh Palwin… a legend, at least in Anglo-Jewry. There’s a place in this world that I love more than any other. In fact I might even say I’m in love with it. It’s magical. Remote, but not too much. Quiet, but not deserted. Beautiful beyond words, but in a rugged, real kind of way. 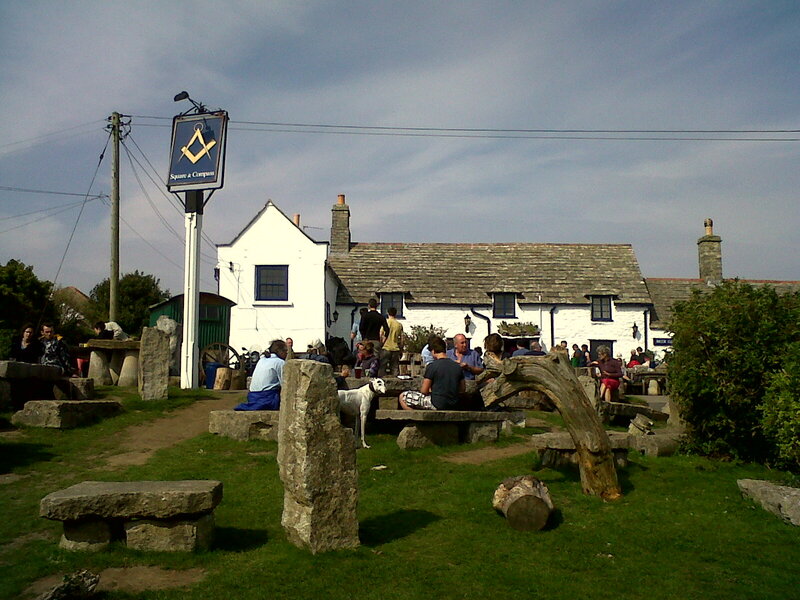 Worth Matravers is a tiny village off the Purbeck coast in Dorset. 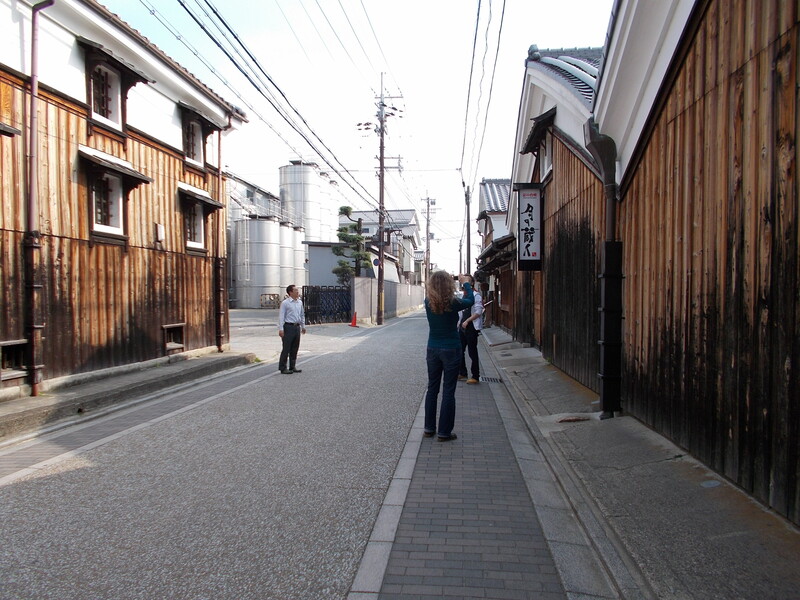 And in this very special village there’s a very special pub, the Square and Compass, well over 200 years old. It sits on a hill top, looking down over the village and the sea. And the Square and Compass has an owner who makes his own cider, Charlie Newman. I visit Worth about once a year (would love to go more often), always a different time of year. Most recently I went in March – and was disappointed to hear that last year’s ciders had run out and the new lot wasn’t quite ready yet. It had never occurred to me until then that the pub’s supply of home-made cider wasn’t endless. While this meant I had to make do with something from another local producer, it also gave me a great pretext to visit Charlie’s cellar and find out how he makes his cider. The apples come from various places in the area and Charlie now also grows his own fruit. 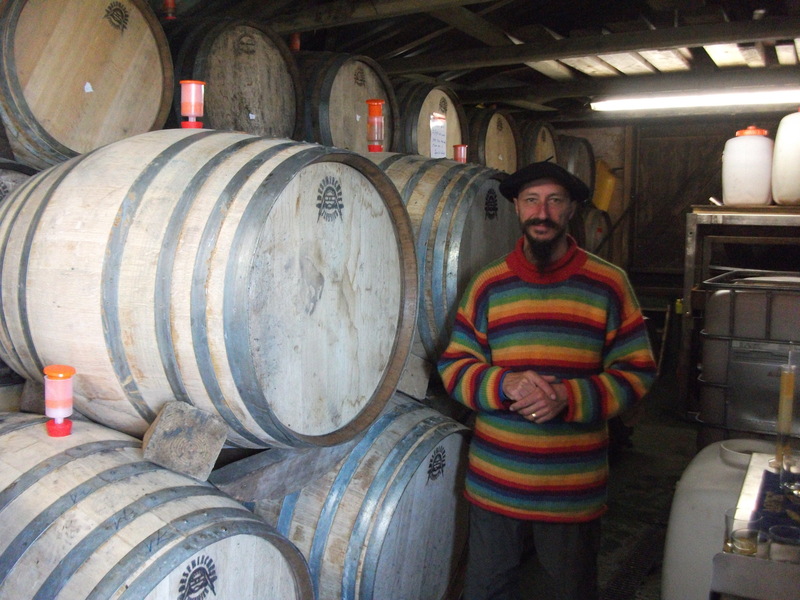 He likes to work with a mix of varieties: he ferments the juice of nine different apples, including Bramley, Redstreak, American Mother, and Dabinett. When the apples start coming in in September, they are carefully hand-selected and cleaned. Clean is crucial, he says, in order to avoid impurities and infections. 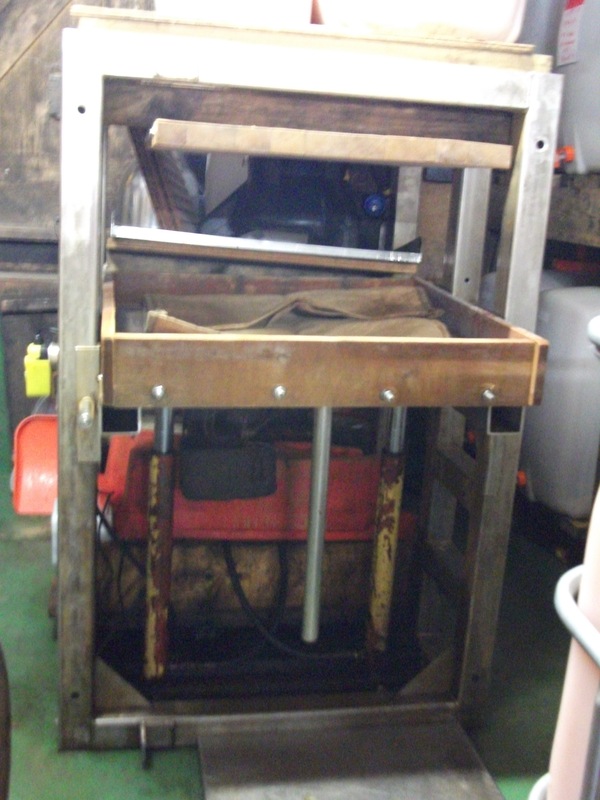 The apples are crushed in a mill, put into thick plastic bags and pressed in Charlie’s hand-made press. The juice is then moved to poly barrels and wooden casks and starts to ferment naturally, on the lees, with indigenous yeast (that is, yeast floating around in the cellar and not artificially cultivated). Since it’s all a natural process and there’s no temperature control, the fermentation slows down and stops over the cold winter months, then recommences (malolactic fermentation) in March, ‘when the trees come into flower’, for a few more weeks. Around Easter-time the cider is normally ready. ‘Cider production suits a lazy guy, because it only keeps you busy once a year for a few weeks,’ Charlie remarks, smiling. But I don’t believe him. My impression is that he spends quite a bit of time pruning and planting and generally looking after the orchard where his apples grow. 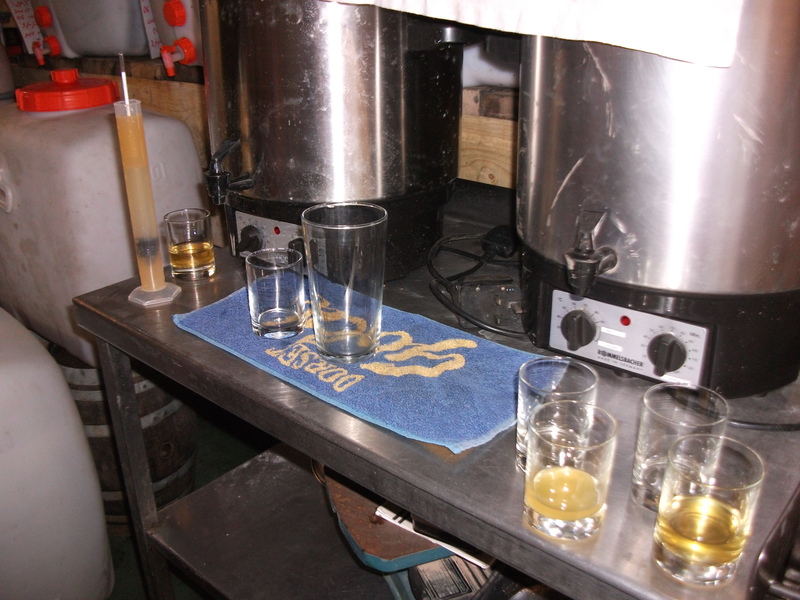 And then of course there’s the regular tasting and, whenever more cider is needed in the pub, blending. We tasted four or five different ciders. Kiss Me Kate, which will ultimately be sweet, is at this point still very dry but Charlie sweetens it back by adding sugar. ‘People like the sweetness’, he tells me. Well I’m a dry cider person… This Kiss Me Kate, by the way, contains 12 different varieties! To me it had a taste of pears actually, and it is still yeasty and has a very interesting perfume. The varietal Dabinette was something else I found interesting, with a slight barnyard aroma, very perceptible smokiness from the oak, a tannic mouthfeel and a slightly sweeter palate than in the others. The ciders should be ready for drinking within a few weeks – may I be able to return soon to taste! Even to look around properly was going to take me two days, the Austrian Wine Marketing Board tasting last month was so huge. It wasn’t the best choice for a venue – the size of the rooms unfortunately did not match the number of visitors and there were some very crowded moments. But apart from that, a splendid event and a fantastic showcase of what’s going on in Austrian wine-making. There were over eighty producers, presenting hundreds and hundreds of wines. Austria is known mainly for its white wine, although it also produces a significant amount of reds. The wine regions lie in the east of the country, along the Austrian-Hungarian border going north–south. There are four main regions: Niederosterreich (Lower Austria), Vienna, Burgenland, and Steiermark (Styria). Within these there are a number of appellations, marked DAC (Districtus Austriae Controllatus, in Latin – but why?). Instead of discussing climate and soil in great detail, I’ll just briefly say that Austria has favourable conditions for growing wine grapes and there are many interesting varieties as well as achievements of the highest standard. Two examples that quickly spring to mind are Riesling and Gruner Veltliner. Riesling shows fantastically under the responsible care of Austrian wine-makers, and its specimen at the tasting came from all over the country, from Vienna to Kamptal to Sudsteiermark in the south, bordering Italy. They were all well made and offer a very reliable alternative to German Rieslings. Gruner Veltliner is an Austrian speciality and I enjoyed finding out more about it. It is a medium-bodied, acidic wine with a vertical, nervy structure. Its flavours vary from citrus to pears and apricots to honeyed notes, but it tends to have a unique underlying grassiness or prickliness that I find particularly attractive. 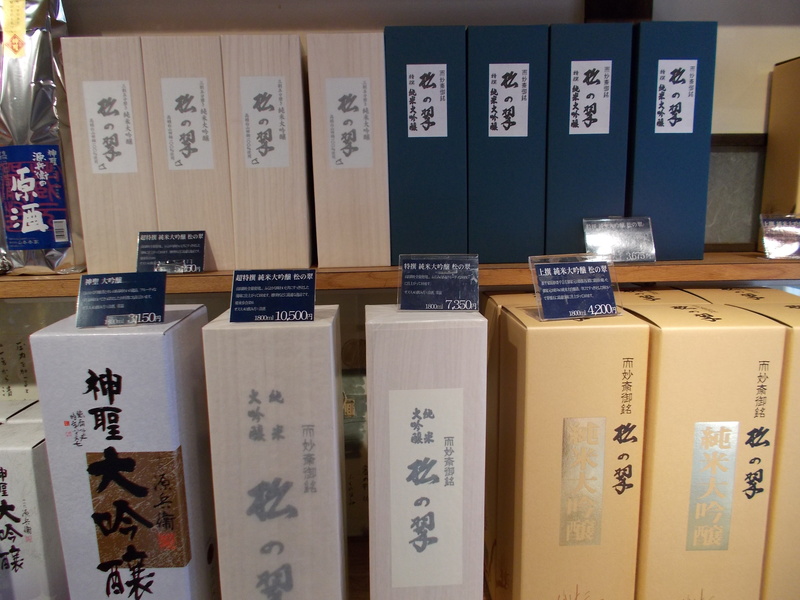 The older wines may show some vegetable, herbal character, but typically this is not a wine to be aged. It should be appreciated for its youthful, fruitful zestiness. The precision-winemaking which seems to characterize Austrian producers really suits these varieties, where, to my mind, transparency and clear definition in aromas and flavours, body and acidity, are essential. So the resulting wines, though differing in style, all rang clear, like a well-articulated sentence. But everything else I tasted, whites and reds, were good, honest wines, made for drinking and not for showing off. Commendable!